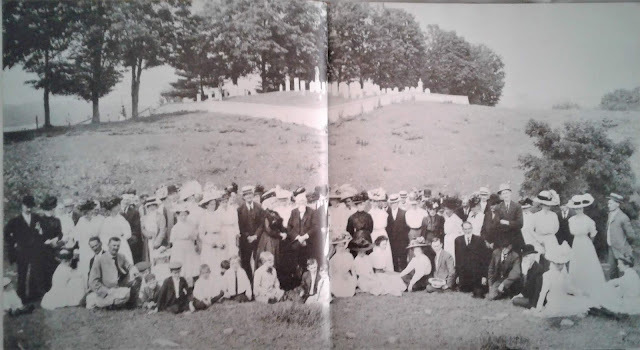 Carr Todd family picture located in Toddsville, New York located at the original family grave plot. bed less than a week, when death occurred as above stated, from general debility and age.The funeral will be held at the late home Friday at 2 p. m. the Rev. E. 0. Petrie of Cooperstown officiating. Interment in the family plot,in Lakewood. 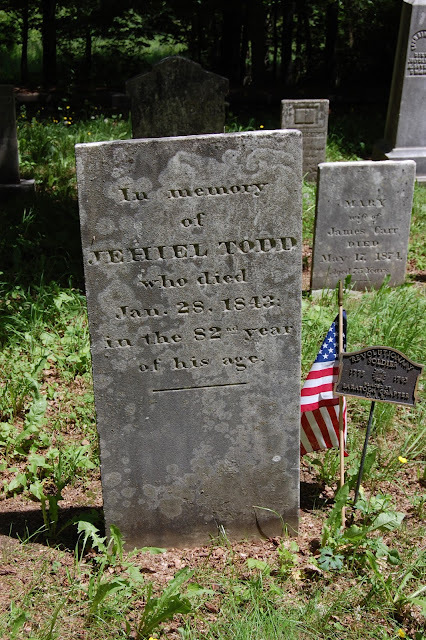 Mr. Todd was born at Toddsville October 15, 1824, one of the twin sons (Lemuel Frink and Samuel Street Todd), of the late Lemuel and Sarah Frink Todd, whose father, Jehiel Todd, purchased of Judge Cooper the Tubb's Patent in 1804, consisting of 300 acres of the Oaks Creek valley covering the present site of Toddsville, and has always been a resident of Toddsville, a period of nearly ninety-seven years. United in marriage with Miss Sabrina Temple of Middlefield January 1st, 1845, they resided in the house now owned by Mrs. Kate Pashley and later in the original Tubbs house for many years, now the property of Mrs. Mary Clapsaddle, they moving from the latter place to the late home thirty-one years ago. Mrs. Todd's death occurred about twenty years ago, since when his daughter, Miss Florence, has kept the home and cared for her father in his declining years. Mr. Todd was christened in the Presbyterian church in. infancy and has always been a member of that church. A staunch Democrat he was for many years a Justice of the Peace in the town of Hartwick. Engaged for many years with the late Rufus Steere as salesman of cotton goods he was for a long time in the height of the industry, a familiar figure in the surrounding counties in that line, making long trips with team and wagon, exchanging cotton cloth for the produce and merchandise of established customers. Since the close of the industry locally' he has retired from active business; caring for his garden up until last fall, a very remarkable record for anyone to achieve. 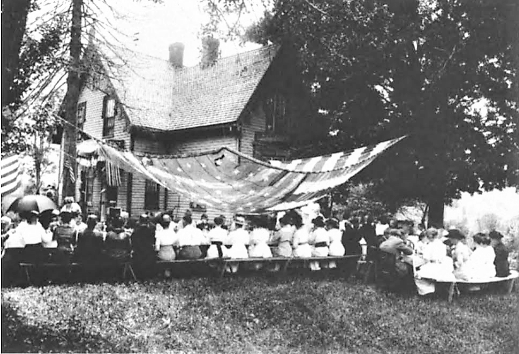 Surviving are three daughters and two sons, Mrs. Martha Gay Lord and Fred, Of Oneonta, Glenn of Little Falls, and Mrs. James Almy and Miss Florence, residing at Toddsville, to whom is extended, the sympathy of a large circle of friends in this hour of bereavement. 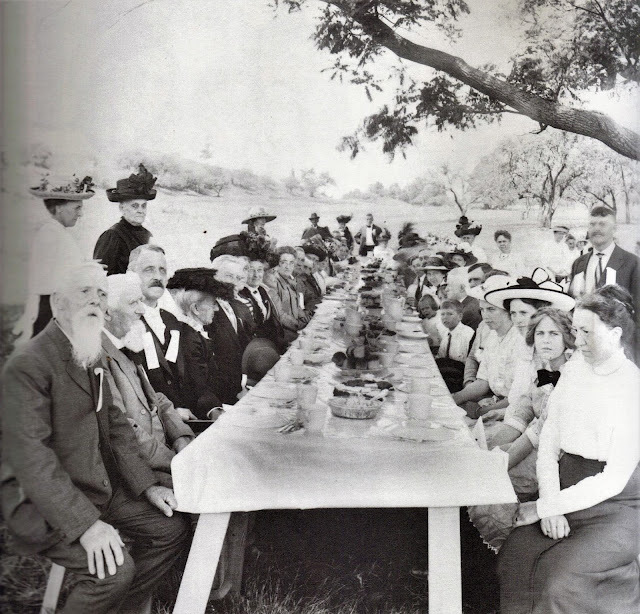 Mr. Todd was a remarkable personage in many ways, his memory was clear until the last days and the local history was at his command over a long period, in fact by hearsay from his father and grandfather and by personal knowledge, since the founding of the village. In connection with the obituary notice the following historical statement will be of special interest: In 1804, Jehiel Todd and his family consisting of his wife and sons, Lemuel, (then married) Ira, Caleb/Ashel, Zerah, and Bethel and daughters, Sally, Todd (Carr) and Polly Todd (Crandall) came from Wallingford Conn., the home of the Todd family, for three generations. 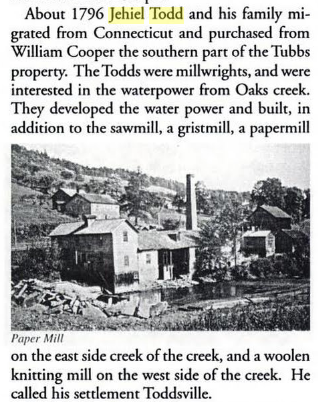 Jehiel Todd and his son, Lemuel, purchased the "Tubbs patent" from Judge Cooper of Cooperstown consisting of a tract of 300 acres of land on both sides of Oaks Creek at the present site of Toddsville, including the water power. The first house was erected by Mr. Tubbs in 1795 and is now owned by Mrs. Mary Clapsaddle. The Todd families occupied this house until 1805 when Jehiel Todd erected and occupied the house now owned and occupied by Frank Peck. Lemuel Todd and his, son, Samuel S. Todd owing and occupying the "Tubbs house" until its purchase by the late Dr. Clapsaddle several years ago. The first mill was a grist mill built by Mr. Tubbs and improved by the Todds, who soon after they arrived also built on the Hartwick side, a woolen mill and on the Otsego side, a saw mill and paper mill, near the south end of the presant paper mill, This paper mill was three times burned and rebuilt and operated by the Todd family until 1855. The first store was kept by Lemuel Todd in a building between the houses now owned by Mrs. Clapsaddle and Michael Cleary. Zerah Todd ran a store, book-binding and printing plant in connection with the woolen mill in the house now known as the "Old Dr. Almy House." The first and only hotel was built in about 1827 by Caleb Todd on its present site. The Union Cotton Mill Co., purchased of Jehiel and Lemuel Todd about 1810, the farm property known" as the factory property and built a Wooden building And operated a cotton spinning factory there until 1828 when the stone factory Was built and operated by various companies and proprietors until 1897. The stone store was built the same year as the factory.